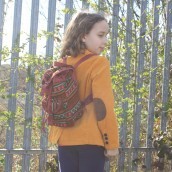 Traditional and ethnic small Nepali backpacks. 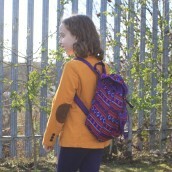 These backpacks may be small, but the quality is wonderful and the size is ideal for carrying personal belongings comfortably and perfect for days out. Multi coloued designs, quality and functionality are the main features of these small Nepali backpacks, not to mention the price. 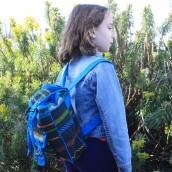 Our backpacks are featured with two pockets, one internal and the other external. 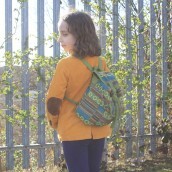 They also have wide adjustable shoulder straps for easy carrying and drawstring closure. 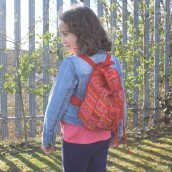 They are sold in variety of colours and designs. 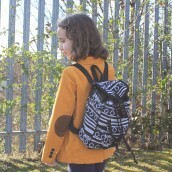 These backpacks are handmade, as with all handcrafted work that might create variations in colour, size and design.